Sulphur Springs ISD is one of the largest businesses in Sulphur Springs. During 2012, the construction projects resulting from a $48.4 million bond approved by the voters in 2009, was completed. Students in grades 6-8 moved into the new 150,000 square foot middle school which is built on a 53 acre site south of Interstate 30. The state-of-the-art facility was designed for initial enrollment of 1,100 students, allowing for expansion. The building is designed to exceed strict energy code requirements, utilizing an energy management system to monitor and control energy use. The district’s long range plan reorganizes elementary grades to allow for future growth on the campuses. 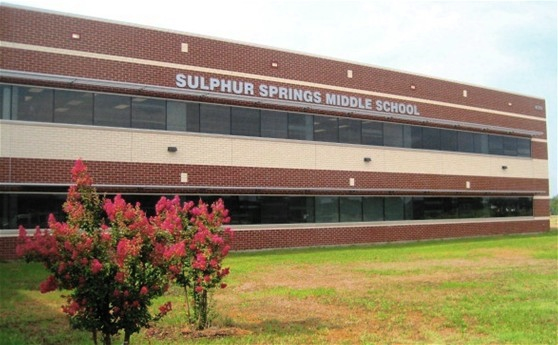 The former middle school was renovated and now serves as Sulphur Springs Elementary which houses all students in grades 3 and 4. All students in grades 1 and 2 are served by Bowie, Lamar and Travis Primary campuses. The Early Childhood Learning Center, built in 1997, is home to students three to five years of age with Head Start and Kindergarden classes. The fifth grade campus, Douglas Intermediate, also received new classrooms in a renovation through the Bond election. A multipurpose building was the first project of the bond construction program to be completed. It provides indoor space for all extra-curricular activities, and has benefitted all campuses in the district.